I want to know all tthe disadvantages of this phone?????? hey guyz anyone tell me plz can we move all apps and games to the sd card in htc 816?? ?....plz tell me fast. Santosh Singh, 04 Jun 2014sar 0.698 w/kg@1g (head) 0.841 w/kg@1g (body)Thank you for SAR value info. My 816 gets heated at the top (backside) when playing games even for 10 mins. I just played stick cricket till now. Is it common or did I get a defective piece. john, 04 Jun 2014I bought it yesterday and found that my WiFi hardware is defective, it's irritating . I called... moreDont worry just return it back to the shop where did you bought the device, actually there is a 7 days replacement warranty if the device defective. if they are not giving you that replacement device then the shop you bought may not genuine, or they may sell the device got by or took by some other way. AnonD-130757, 04 Jun 2014hi friends plz tell me htc desire 816 have non removable battery suppose when you are using in... moreU can move ur stuff.. U mentioned.. N app also.. N der always option 2 restart..like press power n volume down key together etc..
AnonD-234697, 04 Jun 2014White one...is there panaroma mode in d camera? 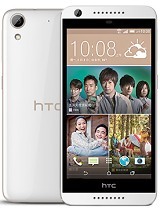 Normally I never post review but as many guys are excited to know about this model so I will give my honest review here.I have upgraded to desire 816 after HTC one X. I was confused between s4 and 816 but after waiting for around 3 months I had this cell. M using it from a month. 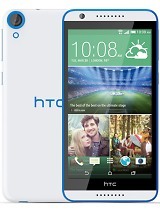 It's mid range device but u won't get such specs in price range! Camera is not upto Mark as 13mp by S4. Huge difference in vividness compared to S4. BoomSound is ok but not better than beats Audio. M pure bass lover and prefer listening to music only via headphones. Best part I liked is flip cover which has sensor and we don't need to use awkwardly placed power kEy! 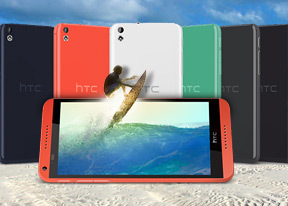 Flip cover isn't manufactured by HTC so it's just so so in quality. Can't be compared with S view covers! Battery goes for a day for normal usage. Display and touch is decent. Overall it's best buy at d price. Nano SIM gives huge trouble when u switch from micro SIM to nano. My network always goes in roaming again and again! I love to read reviews and I genuinely appreciate for honest reviews so m posting review for buyers. HTC sense 6 isn't smart enough! It's just normal.Best thing in sense is we can disable unwanted apps! It has extreme power saver mode which stops all background processes completely. I would suggest this cell for those who need exact specs in dual SIM version else get some high end outdated device like HTC one or s4 which will give u feel of using high end smartphone. This device will give u feel of midrange device. Overall it's best we can get for price I brought this for 24k from alpha Pune! 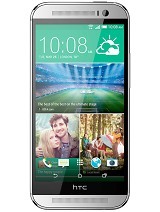 vishnu, 04 Jun 2014very good phone,i bought white one from flipkart at Rs. 23029 3 days ago,i can feel the qualit... moreCan u tell me can we delete apps which is already installed in the device or we can disable them conform it and tell me whether we can delete apps or not ??? 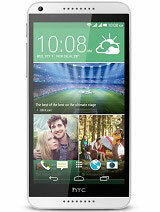 very good phone,i bought white one from flipkart at Rs. 23029 3 days ago,i can feel the quality,display is very good,clear and vibrant,i cannot see pixilation,it has only 3.12 gb available for usage,but we can delete some installed apps.sense 6 user interface is very neat and fast,watching youtube listing music is awesome feeling due to big 5.5 inc screen. I bought it yesterday and found that my WiFi hardware is defective, it's irritating . I called at customer care they told to go service center. Any body any help . . .
prashant, 04 Jun 2014I bought Orange its awesome n Uniqueis it available in green o blue?????? ?